Choose your reservation date by clicking the link on the calendar date you want below and register. These dates are for private group investigations. Bring your team, up to 8 people and all your ghost hunting gear and have the the building to yourselves to catch all the haunting activity! All reservations must be made online and paid in advance. If you would like to attend a public guided ghost hunt event by Ghost Hunt Week Ends, which puts on the most ultimate paranormal fan experience in the industry, you can find tickets for those dates by clicking here. Please see additional terms at the bottom of this page. By making a reservation you agree that you have read the terms at the bottom of this page. We have confirmed that there has been a reported suicide death in the Jail in the 1st floor cell block. Others have reported seeing the apparition of Sheriff Keeler in the past. One day in the afternoon a response was given to us that the name of the ghost we were speaking to was Tommy, a male voice. Strange items have appeared in the jail that were not there on previous occasions. Items we have purposefully left in the jail have been moved or disappeared altogether. Jail cell doors have slammed. Walking is heard all the time. Small items have been tossed such as bottle caps and a rocks. Jingling keys, odd old time music, music box music, whistling and rattling chains have been heard at different times of the day and night. The opening and closing of doors have also been heard. Male and female voices have been heard live with our own ears. We have had the voices jump into our current conversations a few times and heard them live and that is freaky!! Our names have been called out on many occasions. 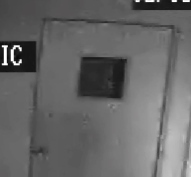 While we can not guarantee that you will capture any evidence, we are stating that the Jail is very paranormally active and to date we have experienced and or captured evidence of many different entities that we can distinguish as separate entities. We are also stating that paranormal activity doesn't happen only in the dark, in the middle of the night. It happens during the daytime as well. This has been constantly proven to us not only here at the Jail but at many other locations we have investigated. We are offering daytime and night time sessions. These sessions are for private investigations, meaning your group will be the only ones investigating during your session. There will however be a staff member on the property, who will not interfere with your investigation in case of an emergency or in the event you need anything. All session prices are for your group of up to 8 people. Meaning, for example: if you reserve a daytime session for $400.00 you can bring 7 more people with you and it doesn't cost anything more. No one permitted under the age of 13. Anyone under the age of 18 must be accompanied by a parent at all times. Daytime Weekday session hours are from 11:00am to 5:00pm Monday thru Thursday for $400.00 for your group of up to 8 people. For additional people over 8 in your group, there is an extra fee of $70.00 per person payable in cash upon arrival. Not to exceed 12 total people. Night time Weekday session hours are 8:00pm to 2:00am Monday thru Thursday for $450.00 for your group of up to 8 people. Week end session hours are 8:00pm to 4:00am Friday, Saturday or Sunday for $600.00 for your group for up to 8 people. If you are coming in from out of town and need a place to stay before or after your session The BITTERSWEET INN located at 940 West Wayne Street Paulding, Ohio 45879 will offer a 10% discount to you if you mention your investigation when booking your reservation and show them your investigation payment receipt when you check in. Their phone number is 419-399-2861 if you get the answering machine, leave a message they will call you back. They accept cash only. They are very nice folks and the INN is lovely! NO ONE UNDER THE AGE OF 18 PERMITTED WITH OUT A PARENT AT ALL TIMES. NO ONE UNDER THE AGE OF 13 PERMITTED AT ALL. You will be required to show your id when you arrive. No refunds will be given if any and all rules are not followed and you are asked to leave the property. ABSOLUTELY NO disrespectful evoking or provocation is ever allowed for any reason. You understand that the building is dark during some session times and that no power / lights will be available except in the sally bay. You will need to bring flash lights or head lamps with you. Depending on the current weather conditions during your session the Jail may be cold or it may be hot as the building is not air conditioned or heated. You understand and are aware that bats and or birds and or other small animals may be in the Jail and basement on occasion. You understand that there is stairs with no elevators and a handicap ramp accesses the front entrance, to the 1st floor only. You understand you are not to damage, disturb or tamper with any breaker boxes, fixtures, tools or any of our camera or audio equipment. You will not force open any areas that are locked off. You will have access to the basement and the (what we like to call them) dungeonous tunnels to the cells, however you are NOT permitted under any circumstances to move, disturb, dig, remove or otherwise any earth, dirt, rocks, stone, sand, wood or bricks. You are NOT permitted for any reason to climb into the cells located in the tunnels for your safety. If you fail to follow this rule, you will be escorted out and no refunds will be granted. If you plan to set-up and use any cameras or other paranormal detection equipment, set-up and wrap-up time must be factored into the scheduled time allotted for your reservation. You MUST exit the building, and leave The Old Paulding Jail, at the end of your session. If you cause your session to run over the allotted time you will be charged and agree to immediately pay $50.00 per every 15 minutes your session runs over. NO EXCEPTIONS! ABSOLUTELY NO ALCOHOL, DRUGS and/or WEAPONS of any kind are allowed on the property at any time. Coolers or any carry in containers are subject to inspection, by staff. All drinks must have lids. There are NO REFUNDS for any reason-NO EXCEPTIONS. Smoking is allowed in the sally bay only. Smoking will not be permitted in any other part of the building. Everyone that schedules a tour, experiment session, special investigation event or a private investigation & that enters on, The Old Paulding Jail property agrees & signs a waiver stating that, all video/audio/Photos any media captured at The Old Paulding Jail, belongs to The Old Paulding Jail & or its owners. No one can use or sell any of the above for any reason. (You may use for Personal use only/Not for personal gain in anyway). You also agree not to use or portray The Old Paulding Jail in any negative way. You also, agree that at any time your image or your likeness, your voice, your words, could be captured while on said property & The Old Paulding Jail / its owners / 187 P.I. has your permission to use your image or likeness, your voice, your words, in any way they see fit. Without your permission or any kind of compensation. You also agree, that you do not hold & you release The Old Paulding Jail or it’s owners, 187 P.I., operators, employees, volunteers, family, guest and or acquaintances of any liability of any kind whatsoever. This includes any damages or injury to yourself including death and or your personal property. You accept all responsibility for yourself, your actions & or anyone you have brought on to said property, meaning The Old Paulding Jail with you. You agree to any and all rules & or regulations mentioned while on The Old Paulding Jail property. You agree that you have read & fully understand. This includes past, present & future visits on The Old Paulding Jail property.